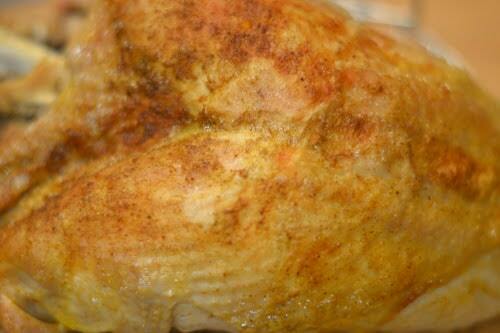 Looking for the most tender and moist turkey breast, you will ever have? 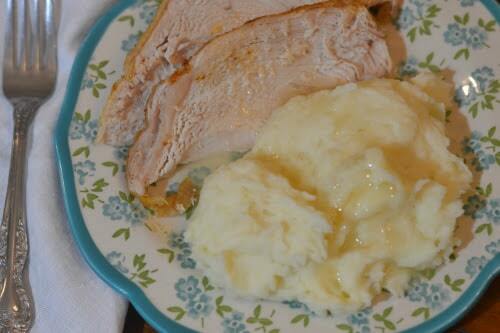 Give my Instant Pot or Ninja Foodi Frozen Turkey Breast and Mashed Potatoes a try! Go from a frozen turkey breast to a fully cooked and perfectly cooked turkey and a side of mashed potatoes to serve with it. I love that you don’t have to spend time thawing your turkey breast before you go and cook it. The Instant Pot or Ninja Foodi will pressure cook your turkey, so it cooks it all the way through while preserving the moisture. As we all know white meat can tend to be dry, but when you pressure cook it, the moisture indeed stays locked in the meat. You can make this for a weeknight dinner or even prepare this for a quick holiday feast for two. When I cook a turkey breast, the Instant Pot is the way to go. Now that I have my Ninja Foodi I use the pressure cooker feature to prepare it as well. I get an incredibly juicy turkey breast every single time. It is a no-fail method. Feel free to use whatever potatoes you prefer. I generally reach for either a red potato or even a russet or Yukon. All three of those potatoes have a nice amount of starch in them to give you a creamy and thick mashed potato. Feel free to peel your potatoes or leave some skins on. It is all about personal preference. Feel free to season your turkey breast with seasonings you prefer. If you have a turkey recipe, you swear by, pat on the seasonings to give your turkey that same savory flavor combination. 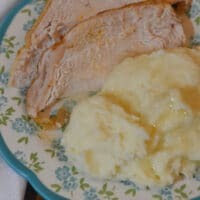 This turkey and mashed potatoes recipe are very versatile, and you can adapt the seasonings you use which are so lovely. You can serve it alone or pair with steamed or roasted broccoli, cranberry sauce, a green bean dish, or even a crisp green salad. I also tend to have dinner rolls on hand that I can pair next to it, to slather up any juices left on the plate. If you have some leftovers, toss them in the fridge for up to three days. After that, you will want to toss out any leftovers. 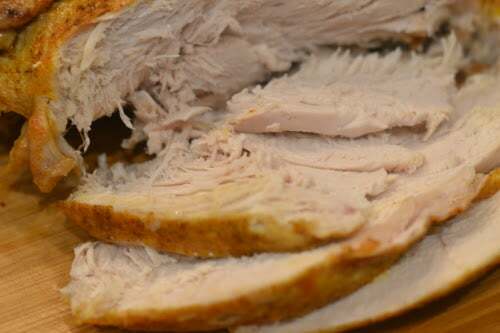 You can freeze the leftover turkey if you don’t feel you will eat it in time. Just place in a sealable freezer bag or freezer friendly container and store for up to three months. Thaw in the fridge the night before you want to serve. I hope you all enjoy my turkey and potato dinner idea made right in your Instant Pot or Ninja Foodi! I can never get enough turkey, so this is always on my list to make! Place frozen turkey breast on a trivet inside of your pot. Rub with butter and season well with Season All or salt & pepper. Press Pressure (it should automatically set to HIGH pressure). Set time to 50 minutes. Hit START. Once done, do a quick release. Remove the trivet with the turkey breast on it and place aside. Pour 1 cup of broth from your pot and set aside for gravy. Put potato cubes into your pot. (you need 1/2 cup of broth in the pot, add more if needed). Pressure cook potatoes for 8 minutes. Do a quick release. Remove your potatoes to a bowl for mashing. NINJA FOODI users: Put turkey breast back into your pot still on the trivet. Air crisp on 390 degrees for 15 minutes or until the skin is nice and golden. INSTANT POT users: Place cooked turkey breast on baking sheet. Place under broiler for 5-6 minutes, watching closely so it does not burn, and brown up the skin until it is nice and golden. While you are air crisping or broiling your turkey breast, add 2 TBSP of butter, & 1/4 cup milk to your bowl of potatoes. 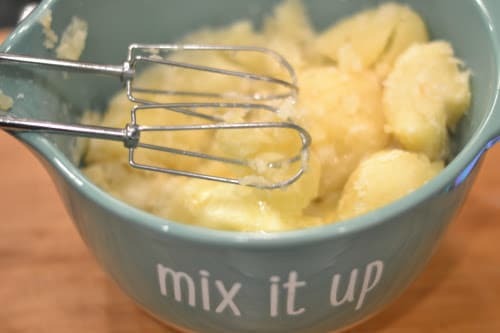 Use a hand mixer to mix well. Add more butter or milk if needed. Make gravy. In a medium saucepan melt butter. Add flour and pepper whisk to combine. Add turkey broth set aside & chicken broth. Bring to a simmer and let cook until thickened. « Worlds Best Steak Marinade!